The Meadow by Pine Crest is an open plan 2 story home that features a large kitchen with birch cabinets, quartz counter tops, large walk in pantry, wood floors and large drop zone area. You’ll love the 4 bedrooms upstairs along with a media/game room that’s sure to be a hit. The 2nd floor laundry is a great convenience and you’ll love the covered patio. Pics of similar home. Visit our Models at 20009 Polk Street & 18512 Merion Drive & 18961 Manderson Street Thur-Sun 12-4. 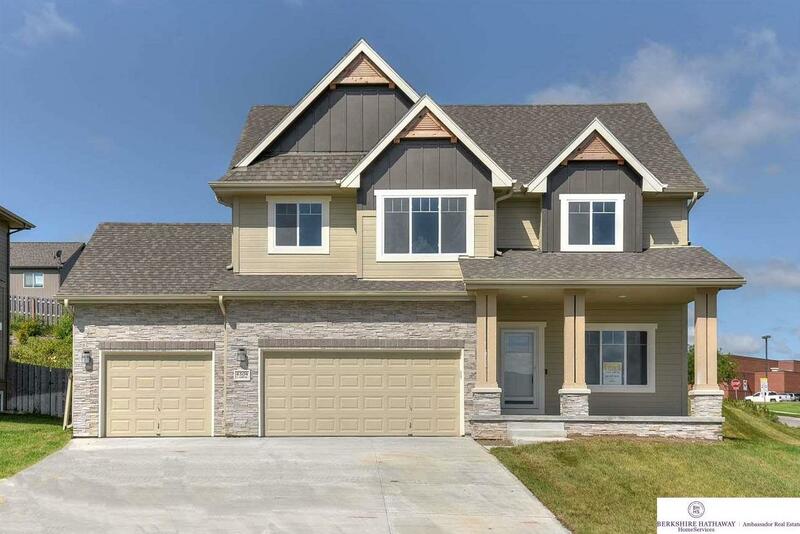 4504 S 198th Street (MLS #21901652) is a 2 story new home located in Omaha, NE. This new home is 2,547 sqft with 4 bedrooms and 3 baths. This property was listed on 02/01/2019 and has been priced for sale at $336,665. Nearby zip codes are 68022, 68028, 68130 2933, 68130 and 68136. This property neighbors other cities such as Elkhorn, Gretna and Waterloo. Listing Last updated 02/06/2019 1:45 AM CST . Some properties which appear for sale on this web site may subsequently have sold or may no longer be available. Walk Score provided by Walk Score. Mapping data provided by Google and Bing.